However, when he, the Spirit of true knowledge, has come, he will be your guide into all true knowledge: for his words will not come from himself, but whatever has come to his hearing, that he will say: and he will make clear to you the things to come. Joh 16:7 But what I am saying is true: my going is for your good: for if I do not go away, the Helper will not come to you; but if I go, I will send him to you. Joh 16:11 Of being judged, because the ruler of this world has been judged. Joh 16:12 I have still much to say to you, but you are not strong enough for it now. 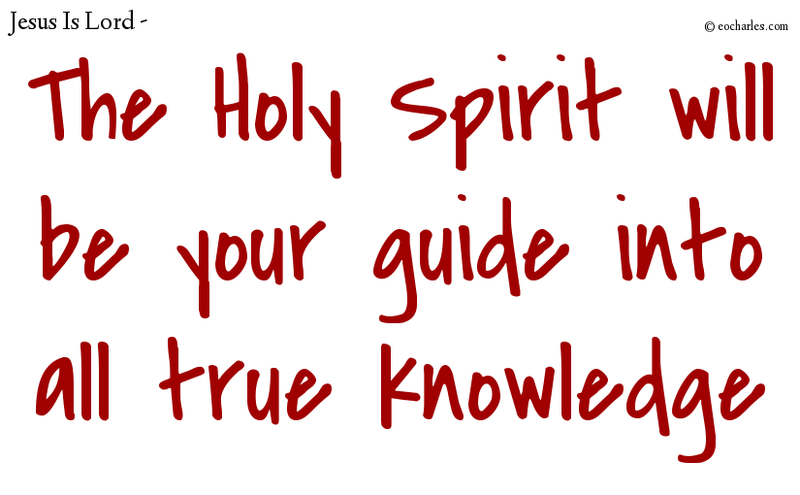 Joh 16:13 However, when he, the Spirit of true knowledge, has come, he will be your guide into all true knowledge: for his words will not come from himself, but whatever has come to his hearing, that he will say: and he will make clear to you the things to come.